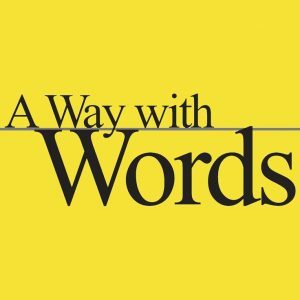 A Way with Words is an upbeat and lively hour-long public radio show and podcast about language examined through history, culture, and family. Each week, author/journalist Martha Barnette and lexicographer/linguist Grant Barrett talk with callers about slang, old sayings, new words, grammar, word origins, regional dialects, family expressions, and speaking and writing well. They settle disputes, play word quizzes, and discuss language news and controversies. The show, on the air since 1998, is heard weekly by more than a half-million listeners over the air in 33 states and around the world by podcast. The show is produced by Wayword, Inc., a small independent nonprofit unaffiliated with any station or network.